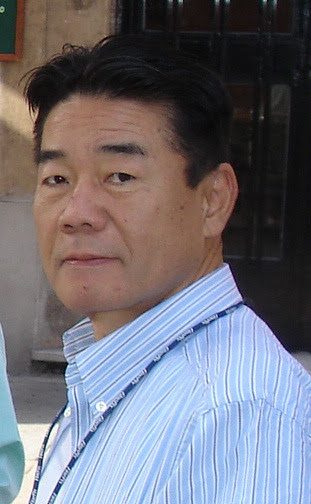 Honouring the legacy of Akinobu Kishi, 1949 – 2012. Akinobu Kishi is the founder of contemporary Seiki. When I met him we were both in our early thirties. I wanted to learn more about shiatsu and he had a certain reputation. Actually, he seemed an unlikely sort of teacher, and I was reluctant to see him or anyone else as a “master” at that stage. Still, he had great authenticity and, despite a quiet shyness, bags of charisma. I decided quite spontaneously to study with him and joined a small group of European students on what was for me a life changing journey to Japan. He proved a generous host and led his group into the deep mountainous countryside near Kyoto and the little known world of original Japanese Shinto. We engaged in simple but rigorous practices, visited obscure shrines and famous sites, participated in rites and ceremonies and drank plenty of sake and beer. Seeds were planted that only slowly grew in significance, but which came to occupy a central place in my understanding of what Shiatsu essentially was, or wasn’t; a gentle light now illumined the path of my own further investigations in the field of the Eastern Therapies. I had the great fortune to know Kishi, and so accompany him in the work as he developed it, over the next three decades. He was always unassuming but, I now believe, a great master of the healing art. On the 23rd of October, 2012, following a short and sudden illness, Kishi died peacefully at home in Maebashi, Japan. He left a legacy almost ephemeral in character, yet nonetheless of lasting importance for the understanding and development of Shiatsu in today’s society. For nigh on half a century he had dedicated his life not only to healing but to finding ways to understand and facilitate natural healing as a conscious experience. He developed, in the process, a unique approach that somehow wove the sensibilities of Japanese traditional art and culture into a profoundly simple therapeutic practice for our post-modern age. Kishi learned his shiatsu formally with the two great masters of the Japanese post-war era, Namikoshi, and Masunaga, graduating at the “official school” of the former and going on to further studies with Masunaga, whom he then accompanied as an assistant for ten years. Assimilating all this experience, he soon became a successful practitioner and teacher in his own right. Nonetheless, he had many doubts as to the real nature of the healing process and, following a crucial period of retreat and personal transformation immersed in traditional Shinto practices, he went on to develop his own unique way of treatment which he called Seiki-Soho. Characterised by simple contact and uncompromising attention, this approach supports a more open and trusting state in which both parties, the giver and the receiver, can experience through “interior resonance” the subtle, self-harmonizing life-movement process. For more than thirty years Kishi devoted himself to presenting his approach to the wider world. Through a life of travel, mainly between Japan and Europe, and an endless series of workshops and longer courses, he tapped the deeper streams of Japanese culture to share his insights into therapy and the human condition, attracting not only shiatsu practitioners but people from many other disciplines. 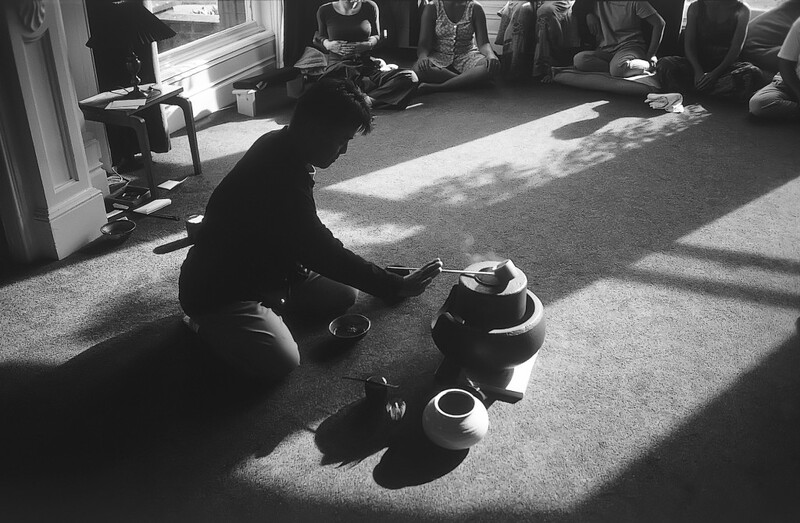 He no longer saw himself as a teacher, but as a researcher and investigator into life, in both its natural and cultural manifestations. Eschewing all conventional methods, he simply showed, by patient transmission and example, a way that encouraged people to become more sensitive and to seek and experience for themselves the pathways to health and happiness. In Shiatsu, he was sometimes seen as a controversial figure. He was often challenging and could shake up overly serious ideas with his quietly mischievous humour. Yet he always honoured Namikoshi and Masunaga, his original masters, and through his own work evoked their essential qualities – the caring hands of the one and the deeply enquiring mind of the other. Beyond that Kishi offered only a selfless presence, reflecting in each moment a commitment to finding and following one’s own way. 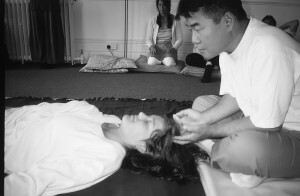 He showed that this was possible, and his great contribution to Shiatsu was that it could be communicated through touch. PL.